Intelligent songwriting combined with world-class musicianship featuring stunning vocals, expert pedal steel, dobro and more. Jennings & Keller is an award-winning nationally touring duo based out of Florida. They offer up 21st Century Americana with influences in folk, jazz, and roots music. They fuse many different musical elements into a unique eclectic style that is refreshingly diverse. Dana Keller, a veteran pedal steel, dobro, and guitar player, has spent years performing on stage or in the studio with such luminaries as Vince Gill, Ricky Skaggs, Stevie Wonder, Larry Graham, Marvin Gaye, Dave Mason, Johnny Rodriguez and The Allen Brothers, to name a few. Dana has been an endorsee of the Gretsch Guitar and Drum Company since 1980. His dobro playing has been called ‘jaw-droppingly good’. Along with being lauded for his world-class musicianship, he is known as a ‘songwriter’s songwriter’, often drawing comparisons to Gene Clark and Jessie Winchester. Laurie Jennings Oudin is a former Shakespearean actress who has spent many years on the stage. Her theater background combined with a lifetime of professional singing gives her an obvious command of the stage as well as the songs she sings. With a vocal style that ranges from early Joni Mitchell to Emmylou Harris, Laurie leaves audiences mesmerized by her stunning vocal delivery. 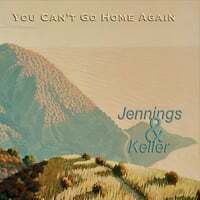 In the 10 years of playing together, Jennings & Keller have released four CDs. They have received accolades and airplay from radio stations at one end of the country to the other. In true troubadour spirit, Laurie and Dana travel the country in their motor home, performing at festivals, cafes, wineries and house concerts. Along with developing a large and loyal fan base, they have earned a reputation for quality musicianship and expert storytelling.